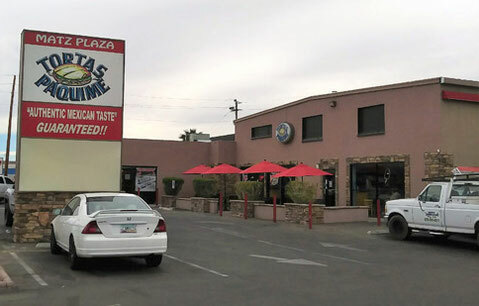 As our research group met for lunch at Tortas Paqiume restaurant on McDowell Road and 25th street, my fellow researcher Megan and I decided to explore around McDowell Road searching for migrant-run entities. We stopped at a plaza on the northwest side of 32nd Street and decided to enter the Isra Market. 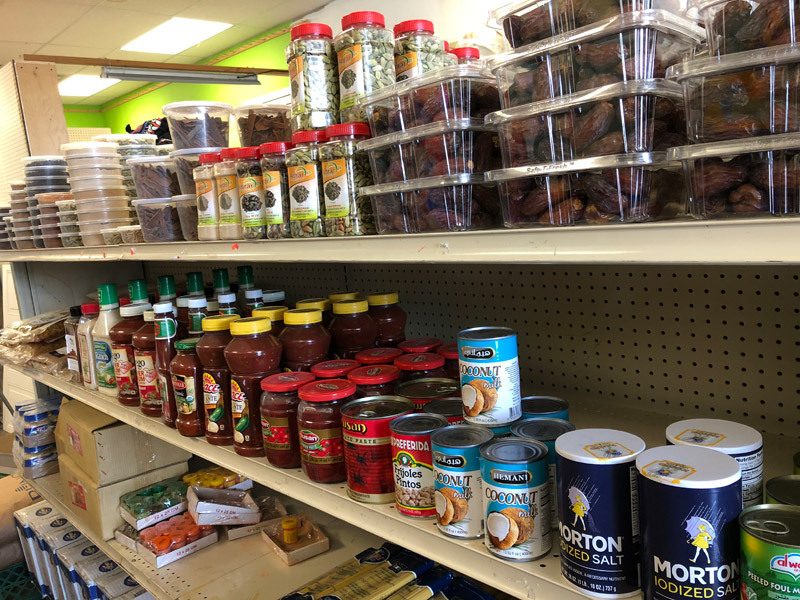 Isra Market is a local Somali market that carries a variety of Mediterranean and East African necessities from canned foods, spices, rice and dried fruits to halal-cut meats. Halal meat is a form of food that adheres to Islamic law; in Islamic traditions, God’s name must be pronounced over the meat before being slaughtered to show appreciation. 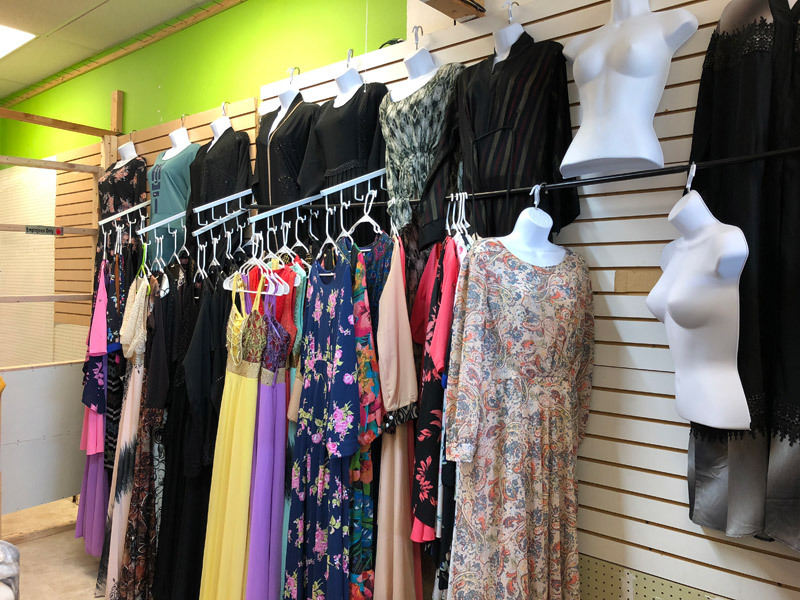 Part of the market is designated for women’s dresses. These dresses are typically long and come either in plain colors or filled with decorative knitted designs. 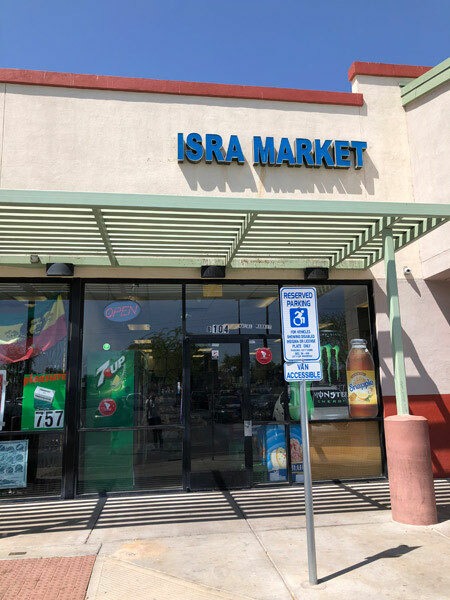 Although, Isra Market is a small, four-walled local shop, its role in the Somali community in Phoenix is much larger. As Megan and I were looking around the store, we met Abdullah, a twenty-one-year-old Somalian refugee who was there shopping with his mother. Abdullah identifies himself as a Somalian despite being born in Kenya. His family migrated to Kenya, and lived in a refugee camp for eighteen years, where Abdullah was born. Abdullah speaks English with a heavy accent and knows some Arabic, and of course Somali. He has only lived in Phoenix for four years and he is continuing his education at Phoenix College and is also employed full-time. His family is a regular customer at Isra Market, like many Somali refugees living in that area. He told us that the Market has also become a “hangout” for older Somali’s and has brought the Somali community in Phoenix together. Somalis seeking asylum in Kenya is common since the countries share a border, however, following a civil war in Somalia in 1991 the Somali migration spiked and the conflict within the nation is still ongoing. After the United States opens its doors for Somali refugees in early 2000s, Arizona has settled 7,097 (The Arizona Refugee Resettlement Program). 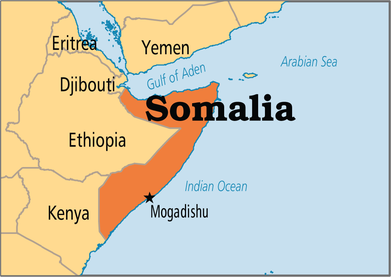 Under the new Trump administration, Somalia is one of the six Muslim majority countries on a ban list and is deemed to have affiliation with a terrorist group. However, the likelihood of a Somali refugee joining such a group is far-fetched. Abdi Samatar, a professor and chair at the University of Minnesota who focuses on Somalia said in a 2017 Here & Now interview on the likelihood of a Somali refugee being affiliated with a terrorist group, “I think all the evidence and the data we have point out that those who are affiliated with al-Shabab, if you like, or other terrorist groups, are not refugees. I think something to the order of 95 percent of those who have committed terrorist acts — either in Europe or here — are not refugees” (wbur.org). Therefore, the ban on Somalia is baseless and its only purpose is to stop citizens from Muslim majority countries from seeking asylum in the United States. Somali refugees’ presence in the city of Phoenix provides a labor force for low-waged jobs and they invest their hard-earned wages to start small businesses, such as Isra Market. But, many Somalis are leaving Phoenix and traveling to states like, Minnesota, according to Antonia Farzan’s article “Somali Refugees Are Leaving Arizona in Large Numbers” (Phoenix New Times 2017). Farzan explains that something like half of Somali refugees leave after struggling to find work and community support in Phoenix. I revisited Isra Market on Sunday, April 8th, 2018 to find some answers as to why Somalis are leaving the city. Abdullahi, the owner, and his sister Amina were working at Isra Market that day. He told me that “Minnesota has a lot more Somali refugees than Arizona has” and that is one reason why many leave, to have a larger community. 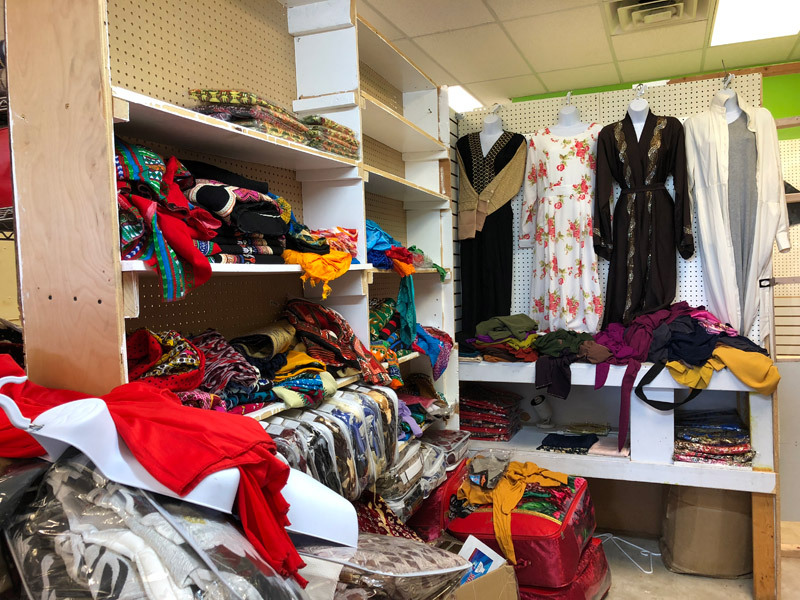 He also said, “the services provided for refugees in Minnesota are much more helpful and businesses like mine can make more money because there are more Somalis that would shop at my market”. 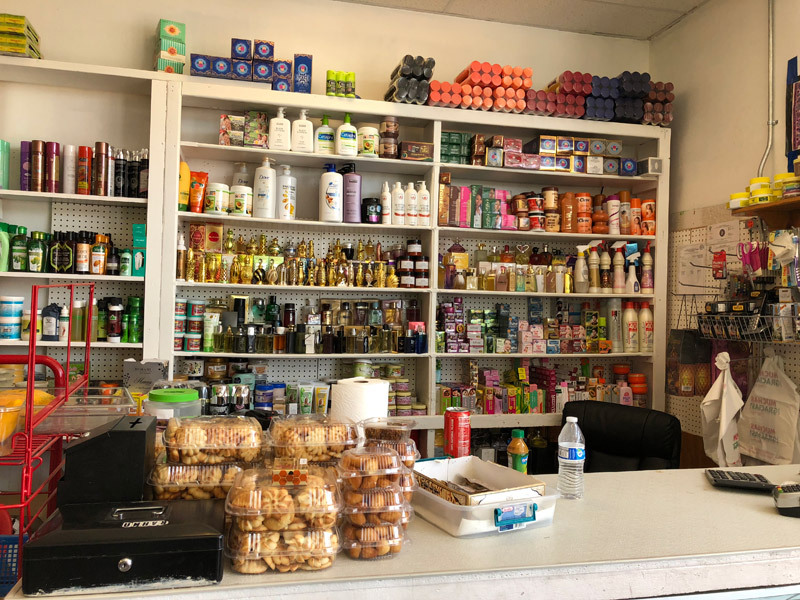 This makes Somali-run markets, restaurants and other businesses vulnerable and it forces many to either close or relocate. 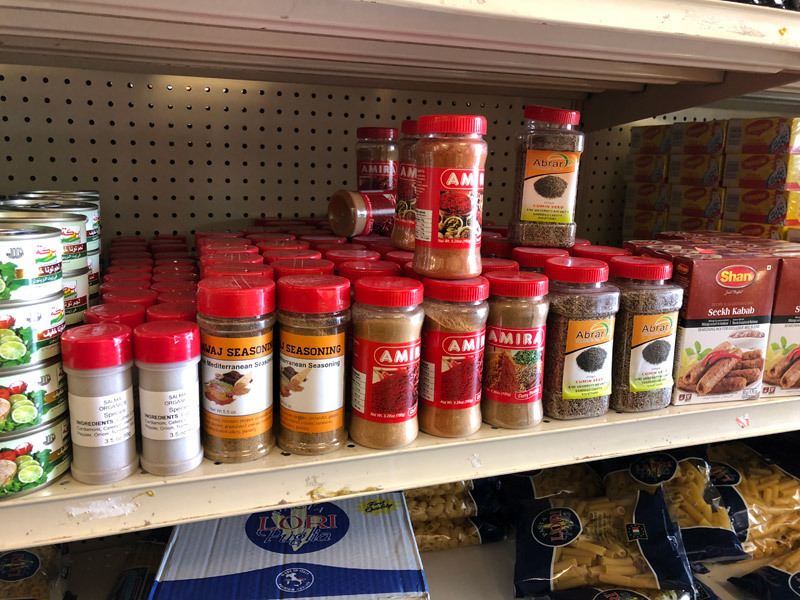 Businesses such as, Isra Market help the Somali diaspora community gain its strength and maintain its ability to support itself, while also keeping the city’s economy vibrant. By taking the opportunity to speak with migrants in Phoenix, I learned that Somali refugees would like to stay in Arizona and many do not want to move, but some are forced to seek relocation as refugees to provide for their family. Check out Megan's related story about McDowell Road shops. Crystal wrote about a Somali Bakery & Cafe just up the road.